The biggest downside of investment lies in the fact that you’ll have to wait for the investment to actually pay off, while temporarily immobilizing your funds. At the same time, you might experience some cash flow problems due to unexpected expenses and opportunities. Fortunately, those investing in real estate have a chance to access the tax refund money in advance. This is mostly due to the phenomenon known as tax depreciation, which is, more or less the reimbursement for the loss of value that your assets experience as they age. This is an important tax trick that not a lot of people are that familiar with and here are some tips you can use in order to improve your cash flow this way. The first thing we need to discuss here is the very phenomenon in question – the tax depreciation. Imagine a scenario where you purchase an asset that has an effective life of 5 years after which it’s completely worthless. In this particular scenario, it would be unfair and even illogical to pay the same amount in taxes for this asset. With real estate, things are not as simple, seeing as how the value of property can’t really reach zero value, yet, the principle is, more or less, the same. In order to organize this a bit better, the average useful life of a family home is usually considered to be somewhere around 27.5 years. Making this consideration can save you quite a bit in the future. Nonetheless, keep in mind that this can’t be applied to all assets. This is why assets that do abide by this are referred to as depreciating assets. What is a depreciable property? The next issue worth considering is the question of what is depreciable property. First of all, you need to be the owner of the property and have the necessary means to prove it. Second, you need to use this property in order to generate revenue, which is why your family home is not eligible for depreciation (this only applies to rental and investment properties). Third, you need to understand that, in theory, any construction has its useful life, while the land that it’s built on does not. This is why the latter can’t be considered when it comes to these estimates. Lastly, the property whose useful life is less than one year doesn’t qualify (as is only logical). The biggest problem with getting the true value from your depreciation lies in having a proper estimate. Still, surveying assets for depreciation purposes are a complex issue that might need a tad more specialized approach. Therefore, both investors and accountants tend to outsource this surveying to specialized agencies like Tax Depreciation Quotes or at least look for professional advice before making any moves. 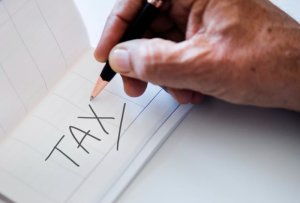 By doing this right, you’ll be able to get the most of your tax deduction, which could end up making a massive difference when it comes to your overall cash flow. 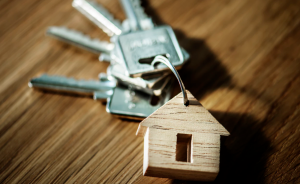 When considering depreciation for the property you own, you need to understand that different property types (rental and investment) are a subject to a different scheme. When it comes to the issue of rental property, you need to realize that even the improvements that you make are eligible for depreciation. What we mean by this is the scenario of installing new systems (heating) or constructing a garage. These are the so-called depreciating improvements. Other than this, it’s also important that you understand the rules of investment property depreciation. As we already stated, the cost of the land needs to be deducted from the total cost of the home for you to get a basis. Based on this, you get to calculate your depreciation. By playing your cards right, you can even turn this depreciation return into an asset. The last thing you need to understand in the fact that the return that you stand to make this way tends to be far from insignificant. In fact, you stand to save thousands of dollars every year. It’s, therefore, not hard to imagine just how big of a difference this can make in your household budget. The more you understand this entire situation the easier it will be to turn it all in your favor.